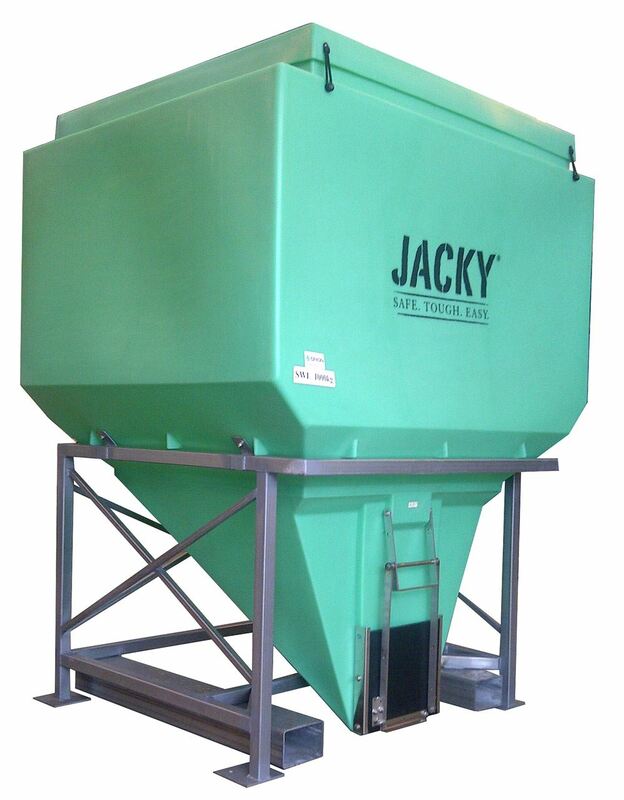 Designed by farmers, the range of JACKY® bins are proven performers and built to last. The JACKY Bin has been developed by rural people to make your work easier and faster. Tough enough to handle any situation. Smooth internal surfaces with no ledges for complete evacuation of bin. Fully removable, weather and vermin proof. See product level through the wall of the bin. Different capacities means it can hold a full tonne of feed, pellets or urea. Easy action stainless steel/poly discharge hatch outlet. No rust or corrosion.